You'll be hoping Rossvale stay down then ? There is a West Region General Meeting that same evening as well. If it's an EGM it must have a stated purpose, do you know what that is ? 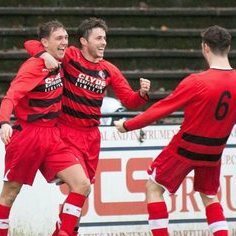 So with Cambuslang Rangers and Petershill already relegated, who will be the third team to take the drop ? Renfrew / Kilbirnie / Rob Roy / Troon ? There is a remote possibility that both Glencairn and Benburb could be promoted this weekend, however it is very unlikely. If Glens and Bens both win (tough away trips to Kilsyth and Whitletts respectively) and Cumbernauld lose at home to Kello (can't see it somehow) then the top two would be promoted. I won't be holding my breath, though, after our 10-1 win over Kello a couple of weeks ago. 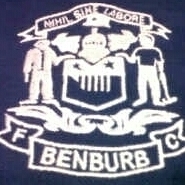 Benburb look likely to be coming up. And possibly Rossvale as well. Both plastic pitches. I suspect there will be, but the current managers don't know yet. Close, but not as close as Glencairn and Benburb who have the same number of points, games played, won, drawn and lost, and only one goal of a difference in goals scored. Eddie Ferns is still a registered St Roch's player, and they are the only team who can register his signature for next season at this stage. If any team were to announce that he has signed for them just now then that would be disrespectful to St Roch's, and I doubt Eddie would want to disrespect St Roch's in any way. Is there another league in Britain at any semi professional or professional level which is as closely contested between the top two as this league this season ?